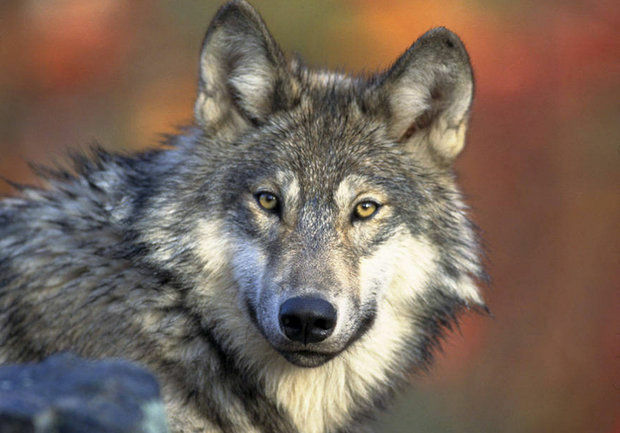 Michigan’s Gray Wolf plan is open for public review. Grand Rapids, Michigan – State wildlife officials want to know what the public thinks about Michigan’s current Wolf Management Plan. The 96-page document, developed in 2008, was slated to be updated in 2013. That process is now moving forward, according Michigan DNR officials. The agency is accepting public comment through December 11. The plan lays out the state’s current understanding of wolves and its intended goals and strategies for management. “The (2008) plan calls for a five-year review and we are a year behind,” said Brian Roell, wildlife biologist with the DNR’s Marquette office. “We’re not saying the plan is broken. It’s still pretty good. We’re just updating it with current knowledge. conduct science-based and socially acceptable management of wolves. Roell said those will remain, but new research findings will be incorporated. Those include, among other things, findings about predator/prey relationships between wolf and deer; livestock depredation rates; wolf harvest data from other states and the impact of hunting; and the genetic origin of Great Lakes wolves. Michigan currently has 636 gray wolves living in the Upper Peninsula, according to the DNR’s 2013/2014 winter wolf survey. That is fewer than 658 wolves in 2013, the estimated count before Michigan hunters were allowed for the first time to hunt wolves that year. They killed 23 wolves during the 45-day season, just over half of the allotted 43-wolf quota. The DNR issued 1,200 wolf hunting licenses for the season. Kevin Swanson, the DNR’s wolf coordinator, said the wolf population had been growing steadily until then. Another population survey is scheduled for this winter. “The last survey showed a slight decline in the wolf population, but the long-term trend has been going up,” Swanson said. Michigan’s gray wolf population was taken off the federal endangered species list in 2007 by the U.S. Fish & Wildlife Service which determined that the “western Great Lakes distinct population” had recovered sufficiently to be delisted. That included Minnesota, Wisconsin and Michigan. Michigan’s adopted recovery goal, specified in its 1997 Wolf Recovery and Management Plan, called for a minimum winter population of 200 wolves for five years running and having it federally delisted. Wolf plan comments can be submitted to the DNR online at www.surveymonkey.com/s/wolfplanupdate , or by calling the DNR Wildlife division at 517-284-9453 and requesting a paper survey. The updated plan will be released for public comment this winter, in time to be reviewed by the Natural Resources Commission, and approved by DNR director, Keith Creagh, in spring 2015. This entry was posted in Uncategorized and tagged Conservation, DNR, Environment, Gray wolf, Hunting, Michigan Department of Natural Resources, Nature, U.S. Fish & Wildlife Service, Wolves. Bookmark the permalink. Those comments would make for some good reading.